Thread: Plymouth Turismo Duster Turbo? 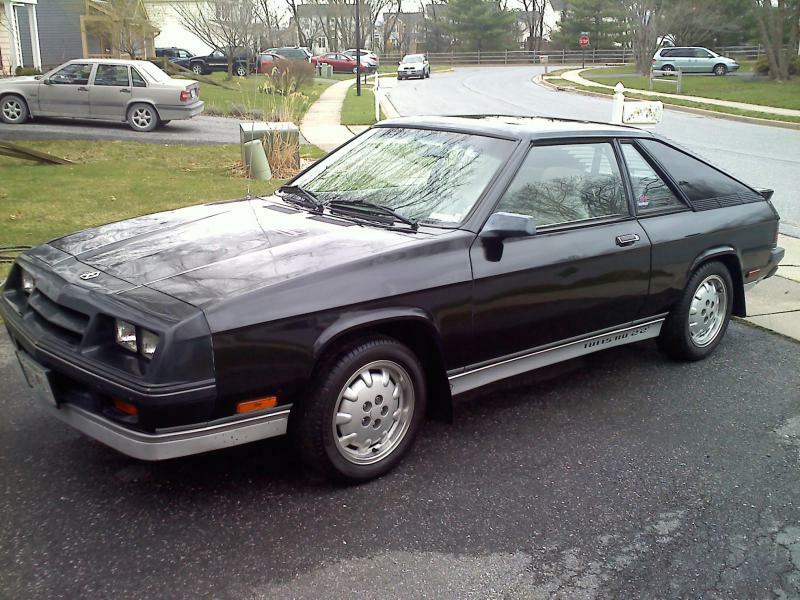 Since no turbocharged L-cars were made except for the (MY1985-87) Dodge Shelby Charger (and the Omni GLH(S) hatchback sedan, also sanctioned by the late Mr. Shelby) and the two prototype MY1986 Plymouth Turismo Barracudas (hence my username), may I ask you all, have you ever been tempted to replace that tired, normally-aspirated 2.2L from your 1984-87 Turismo Duster 2.2 (or Dodge Charger 2.2) with the Turbo I 2.2L from a Plymouth Caravelle sedan? If yes, I would like to please request pictures of your customized Turismo. Last edited by PlymouthShelbyCuda86; 01-01-2013 at 02:13 AM. 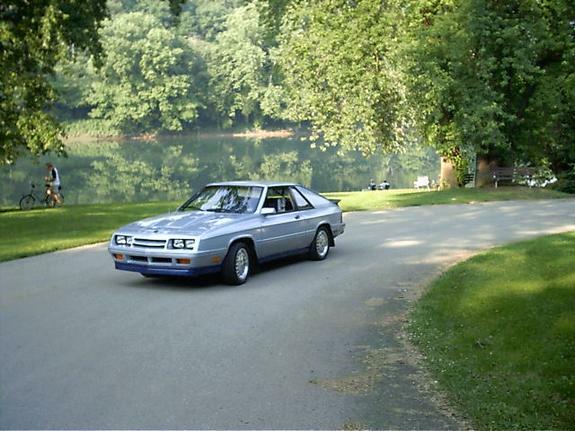 Re: Plymouth Turismo Duster Turbo? The omni came in turbocharged form in 85 and 86. Plenty of people have put turbo charged motors and EFI into any L body you can think of. They're all over the boards here really. Ive always thought if I got out of g bodies I'd love a swapped and stripped turismo with limited SC bodyparts swapped. Anyone have pics of the prototype turismo 'cuda? Swapping engines, trans in our cars and van's are cake. The Turismo reminds of the Mustang/Capri thing. In my experience doing turbo swaps ( carb to turbo and TBI to turbo), the swaps in our cars are not bad as long as EFI was available in the year / model you are working on ( even if your has a carb). If it was available, chances are if you get a donor engine harness from the same model and similar year turbo, it will ( for the most part) be plug and play. My 91 shadow was like this. I used a 90 harness and just had to swap over one of the plugs. My 84 voyager was a different story. EFI was not available so I made a hybrid 84/90 harness and had to run a few additional wires for the fuel pump and check engine light, and change the light configuration. This harness took quite a while to figure out but the finished product was plug and play. If you decide to do a swap, let me know if you have any questions. 84 Plymouth Voyager LE 2.5 Intercooled Turbo 5-spd - Only 84 Turbo Van! 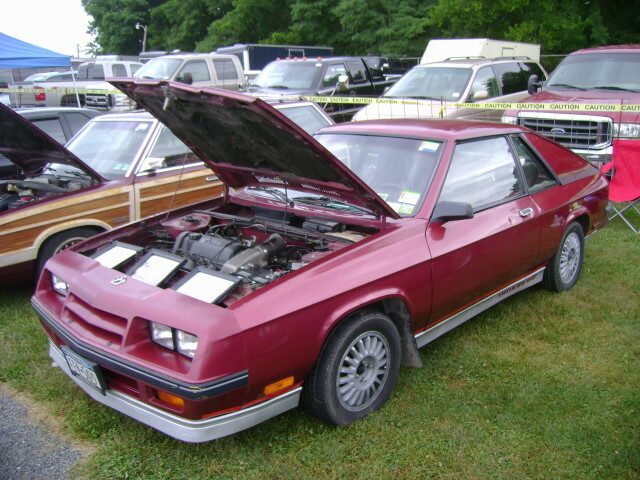 i used a 89 lebaron 2.5 in my 87 turismo duster swap, both the 2.2 and 2.5 used the same block that year with stainless exhaust, i changed to larger cv axles from 89 omni, and 4 lug to 5 lug rotors and spindles from an 86 dodge 600. Although my 87 parts car was manual fuel pump, the one i'm building had electric fuel pump ,so it worked good when i dropped the 89 2.5 in,just had to put new fuel pump in, wiring already there. Last edited by Dr. Johny Dodge; 02-13-2019 at 04:35 AM.